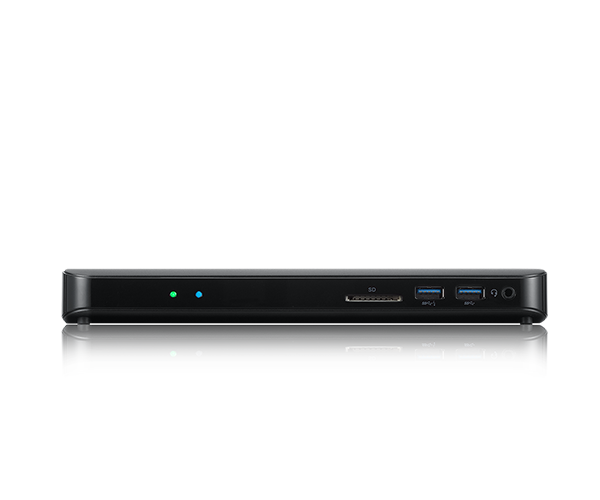 The Thunderbolt™ 3 Dock TD-300 allows you to expand the connectivity of your Thunderbolt™ 3 device. 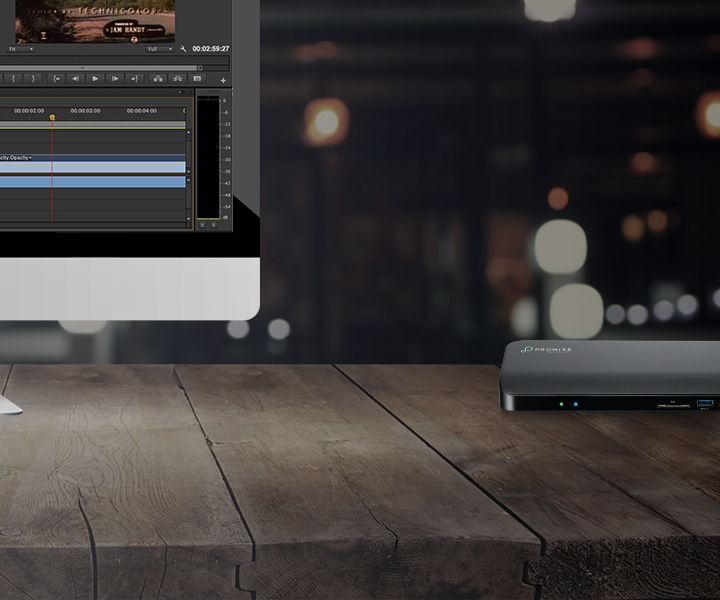 Add a HDMI 4K display, charge your device, daisy chain Thunderbolt™ 3 hard drives, connect USB devices and transfer SD card content all over a single connection. Hook up a Thunderbolt™ 3 display and hook up an HDMI display. The TD-300 will drive two 4K displays over the one Thunderbolt™ 3 connection or one 5K display. Simply connect the Thunderbolt™ 3 Dock to any Thunderbolt™ 3 enabled PC or Mac. There are no drivers to download or install. 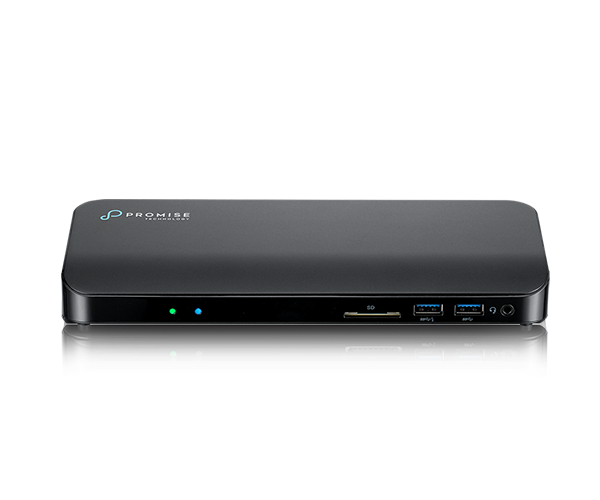 Connect up to five USB devices, daisy chain up to six Thunderbolt™ 3 devices, connect to a network over Gigabit Ethernet, transfer your photos using the SD 3.0 card slot and connect up to two monitors. 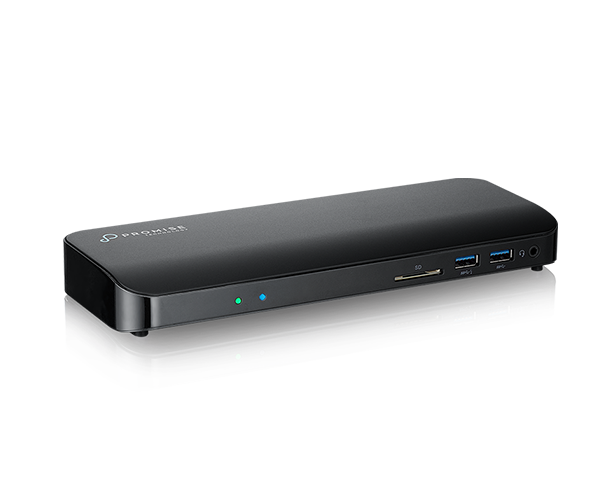 The Thunderbolt™ 3 Dock TD-300 is designed to maximize your Thunderbolt™ 3 enabled Mac or PC. 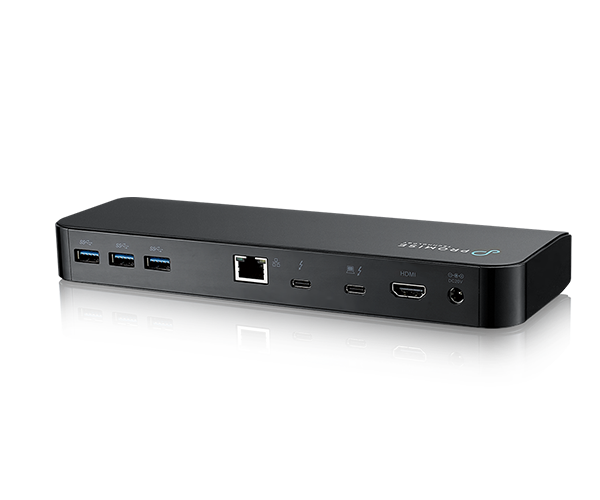 The dock supports power delivery up to 60W as well as five USB 3.0 ports, Gigabit Ethernet, HDMI 4K output, audio jack and a SD card reader. There are no extra drivers needed, simply plug in the dock and connect your devices.